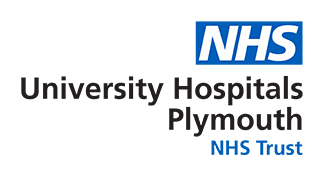 The Histocompatibility and Immunogenetics department is a consultant lead service located at Derriford combined laboratory (DCL) which provides diagnostic support for the South West renal transplant centre based at Derriford Hospital in Plymouth. In addition to transplantation support, the department also performs HLA and disease association studies to help in the diagnosis of diseases such as Ankylosing Spondylitis and Coeliac disease. The department performs HLA typing, HLA antibody screening and identification, and pre transplant crossmatching. HLA typing is required for organ allocation in selecting patients for transplant. Patients or potential donors for the renal transplant programmes will be referred to the laboratory via consultant staff or transplant coordinators. Recipients and potential kidney donors will be HLA-typed for class I and class II HLA alleles (HLA-A*, B*, C*, DRB1*, DRB3/4/5, DQB1* and DPB1*) by molecular methods (bead array technology/PCR-SSP). Diseases such as Ankylosing Spondylitis or Coeliac disease have genetic associations with HLA antigens. HLA typing is not diagnostic but determining the absence of specific phenotype may help in the exclusion of disease. The accurate identification and characterization of HLA-specific IgG antibodies is essential for patients undergoing organ transplantation. Patients on the renal transplant waiting list must have their serum assessed for HLA antibodies at least 3 monthly. All patients are screened using bead array technology to ensure maximum sensitivity in identifying HLA antibodies. This reduces the risk of pre-transplant positive crossmatches. HLA antibody identification is also used in the detection of donor specific antibodies (DSA) post transplantation which is helpful with the diagnosis of rejection and to also to monitor HLA antibodies in high risk transplants. The purpose of the crossmatch test is to determine whether a patient has antibodies that react with antigens expressed by a given donor and to inform the immunological risk assessment for that patient/donor combination. A crossmatch between donor and recipient is the definitive pre-transplantation test to avoid hyperacute rejection due to donor-specific HLA antibodies.